Germany is home to tens of thousands of businesses ranging from small sole proprietorships to large conglomerates. In fact, a large part of the reason for the prominence of Germany’s economy on the world stage can be linked to the small and medium sized businesses (SMEs) of the Mittelstand. The German government is very open to the establishment of all types of businesses – regardless of whether or not it involves a German or a foreigner. Below are some important things to know and consider when starting a business in Germany. Types of Companies. Some individuals and companies that intend to engage in commercial activity in Germany may want to look into establishing some sort of corporate entity. Companies that do not have any presence in Germany may want to designate an agent to operate on their behalf to help establish a corporation. Advice from business experts is essential in determining the best type of corporate structure. Gesellschaft mit beschränkter Haftung (GmbH) (Limited liability company). This is by far the most widespread company form. Under it shareholders are not personally responsible for the company's debts. Just one person is sufficient to set up a GmbH, for which the share capital must be at least €25,000. A notarized agreement must be drawn up between shareholders, and the company's legal existence starts only when it is entered into the Commercial Register (Handelsregister). The name of the GmbH must be derived either from the purpose of the enterprise or the names of the shareholders, and must contain the addendum "mit beschränkter Haftung." Shares in a GmbH are not embodied in a certificate and can't be quoted on stock exchanges. However they may be transferred through properly notarized documents. A GmbH must appoint one or more managing directors (Geschäftsführer), who may also be shareholders of the company and are the only persons entitled to represent the company. Aktiengesellschaft (AG) (Joint stock company, corporation). In order to set up one of these there must be at least five members. The minimum required share capital is €50,000, and these shares are the only ones that may be (but need not be) listed on the stock exchanges. Articles of association, authenticated by a court or notary, are initially required to set up an AG, and it only becomes a legal entity when it has been entered in the Commercial Register. The name of the AG is usually taken from the purpose of the enterprise and it must show the words "Aktiengesellschaft (AG)." An AG must have a managing board (Vorstand), empowered to decide all matters relating to the operation of the business and appointed by and answerable to the supervisory board (Aufsichtsrat). The shareholders of an AG exercise their power to control its policies at regularly scheduled general meetings (Hauptversammlungen). Offene Handelsgesellschaft (OHG) (General partnership). In contrast to the GmbH and AG, the partners in an OHG have unlimited liability. Every partner in the company is legally obliged to participate actively in operating the business unless the partnership agreement (Gesellschaftsvertrag) provides otherwise. The OHG is an association that can sue or be sued in a court of law. The Commercial Code provides that decisions should be made unanimously for internal matters, but partnership agreements usually allow for decisions by a majority of votes. Kommanditgesellschaft (KG) (Limited partnership). This is basically a partnership but also provides for a limitation of liability by having two types of partners: 1) the general partner (Komplementär), who has an unlimited liability extending to his or her personal assets, and 2) the limited partner (Kommanditist) whose liability extends only to his or her nominal holdings in the firm. GmbH & Co. KG (Limited partnership with a limited liability company as general partner). This combines a limited liability company with a limited partnership by making the former the sole general partner of the latter. The limited partners are, as in the case of all KGs, only liable to the extent of their registered holdings. Töchtergesellschaft (Subsidiary). A non-independent company physically separated from the parent company, and to a certain degree independent. It usually has its own management, accounting system, balance sheet procedure and business assets. Zweigniederlassung (Branch). This is more of a non-independent sales center, dependent in every respect on the head office, which also is in charge of central administration. The distinction between a subsidiary and a branch office is important, as it determines whether an entry must be made in the Commercial Register. The distinction is also important in determining whether a place of business exists within the meaning of German tax law. Free agents (freie Mitarbeiter): are workers who take care of their own taxes and insurance. You or the company have the option of utilizing their services only when you need them, and paying them only if they do the agreed work. And the relationship is easy to terminate if things don't pan out. A full or part-time employee (Angestellter): hiring these employees will place a number of obligations on you or the company. The employer must, among other things, deduct taxes and insurance premiums from their pay, give them a certain amount of vacation each year, and observe the laws that protect them from arbitrary dismissal. The premiums for the German national retirement, unemployment and health insurance programs are borne equally by the employer and the employee. Half of each premium is deducted from the employee's pay, the other half will be added to it by you and then sent to the appropriate agency and health insurance company. Temporary Worker Agencies are becoming more and more popular as a source for workers in Germany. You can read our article on that here. Taxes of major concern include the municipal trade tax (Gewerbesteuer) and the value added tax (Mehrwertsteuer), plus the income tax, solidarity surcharge and church tax of your employees. You also may be subject to the Corporate Tax (Körperschaftsteuer) if your business is incorporated. The Gewerbesteuer is levied on business profits by the local authorities, and varies somewhat from community to community. It's usually around 18 percent. The (Mehrwertsteuer or VAT) assesses a levy on each step in the production and delivery process. You will be expected to add it to whatever you charge for each item you sell to your customers and each service you perform for them, and send this money regularly to the tax office. The VAT is either 19% or 7%, depending on the item. Medical, bank and insurance services are generally exempt. The "solidarity surcharge," amounting to 5.5% of a person's income tax, covers the costs of integrating the states of the former East Germany. The church tax, of 8% or 9%, need be paid only if the taxpayer opts to remain officially affiliated with one of Germany's established churches. You will be expected to deduct the income, solidarity and church taxes from the employees' pay and send it to the tax office. You will be subject to the Körperschaftsteuer, now about 15% of earnings, only if you choose the AG or GmbH form of organization. There are some advantages to incorporation, notably a limitation of your liability for the business's debts. The Gewerbesteuer is considered one of your business expenses, and hence deductible from the Körperschaftsteuer. If you want to move to Germany and be self-employed and you meet certain criteria, then you most likely will be issued a residence permit (for both you and your family) if you can show that your business will have a positive effect on the German economy. This criteria would usually be related to the type of business, your qualifications and whether or not you may be doing something that could be done by a German national or some other qualified resident. The local Foreigners Office would most likely ask for certain documentation and then may well check with the local Chamber of Commerce or other organizations to see whether or not your business is specialized enough and economically viable. If your business is deemed acceptable you could be issued a residence permit. It is strongly advised to consult with experts in the field of residence permits and experts schooled in labor, business and tax laws before becoming self-employed in Germany. 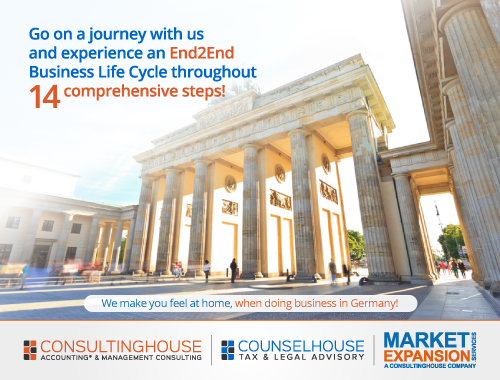 Should your business flourish and reach a certain level of turnover or profitability you may want to consider incorporating in Germany. For more information on self-employment, go to our article on this topic. Much of Germany's business, in contrast to that in other industrialized countries, is conducted by the small and medium-sized companies (SME’s) of the Mittelstand. In one of Forbe’s recent lists of the world's two thousand biggest firms, 252 were Japanese and 564 American. Only around 50 of these biggest companies were German, meaning that the Mittelstand is the engine of the German economy. The firms in it are often family-owned, with a dominant founder or manager. They have a benevolent attitude toward their employees, who, in turn, are exceptionally well qualified and motivated. In the past much of their business was done locally, and relationships with their customers were close. And their market success was based more on quality than price. The concept of the Mittelstand dates back to medieval times and is tied in with a long handicraft tradition. Today it is one of the foundations of the middle class and the reason why the phrase "Made in Germany" has been a hallmark of quality for more than a century. Because there is no official definition of this term (and no satisfactory English translation!) it is hard to demonstrate its importance statistically. It's widely accepted to mean a firm employing between 10 and 500 persons and having an annual turnover of €50 million or less. Estimates vary according to sources but consensus has it that there are about 3.7 million Mittelstand firms in the country, producing anywhere from 35 to 45 percent of the gross national product, creating up to 50 to 70 percent of the jobs in Germany and providing over 80 percent of apprenticeships and other job training opportunities. Mittelstand firms tend to be concentrated in industry, commerce, the skilled trades, professions, and such service industries as technology, construction, transport, retailing and the hotel and restaurant business. You can find information and contact details about private companies that advertise their business start-up services on this site at the Storefront links below. 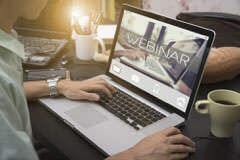 You can get also get advice about setting up a business from one of the dozens of Chambers of Commerce and Industry (Industrie- und Handelskammer, IHK) that are located throughout the country. 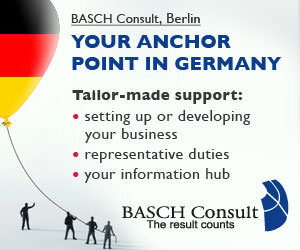 This organization also represents 120 German bi-national Chambers of Commerce and Industry abroad. Craftsmen should consult the local Handwerkskammer, Chamber of Craftsmanship www.zdh.de. Specializing in Instruction for children and young adults from Pre-Kindergarten (1-1/2) years old to age 15. Founding Owner wishes to retire, seeks successor with same passion for education to succeed her. 'Fun English' Language Centre is an established business, close to public transport with an expanding client base and on-going client continuity; long known for its effective teaching and excellent rapport with children/families in the Greater Munich Area.